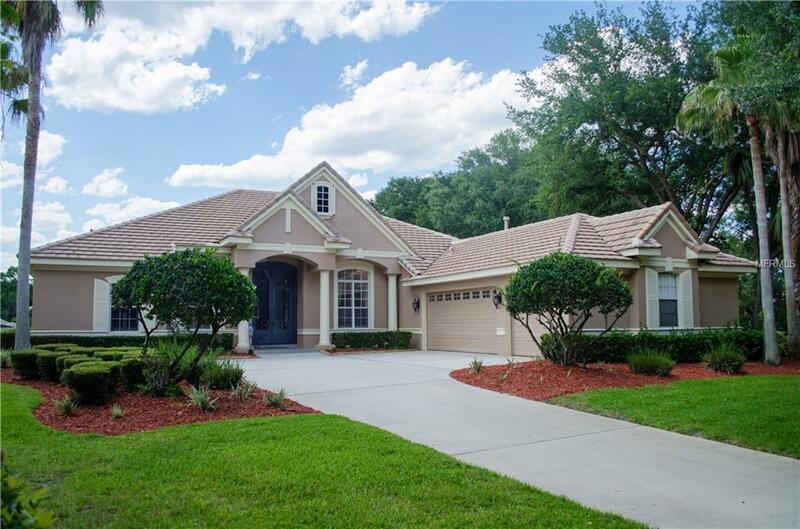 Come home to your private, polished 4 bedroom 3.5 bathroom dream home located in sought-after Alaqua Lakes! This house and community have everything you need to live comfortably and luxuriously. The kitchen was recently renovated with beautiful custom painted cabinets that completely transform the room into a brighter, more open space. All of the bathrooms have been updated with new, light gray custom cabinets and newer fixtures. "Wow your guests with the stunning unobstructed golf course frontage on almost acre overlooking the 16th hole of the Tom Fazio designed golf course. 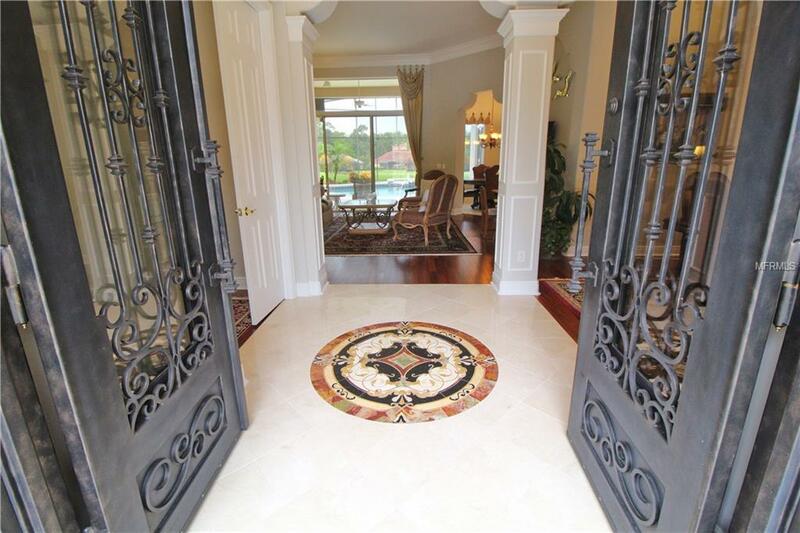 Magnificent entry door with custom handcrafted medallion emblazoned on the foyer floor. 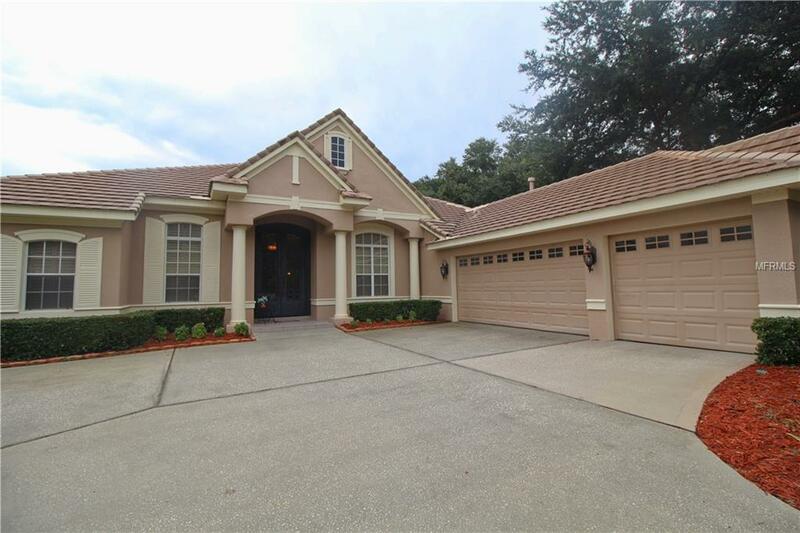 Freshly painted with wood and tile floors, crown molding, plantation shutters and closets with built-in organizers. 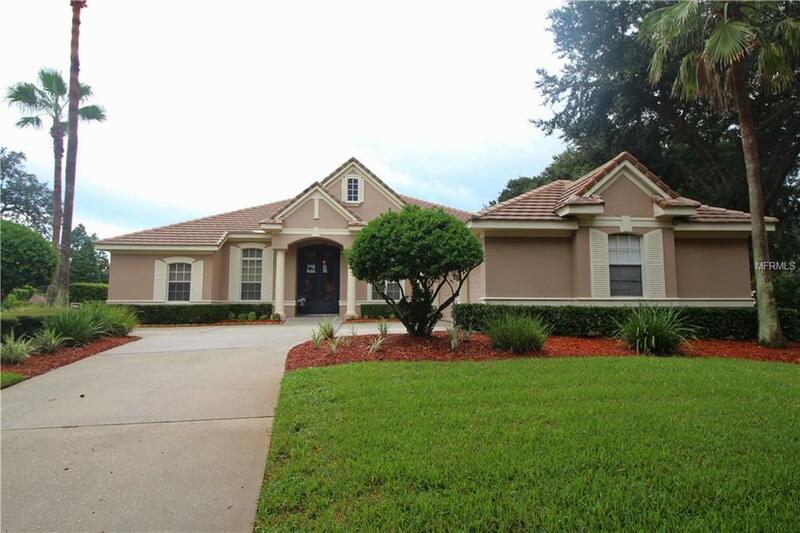 Home features formal living dining rooms, study, family room with amazing custom built-in for TV and stereo equipment and bonus room. Wired for speakers in family, bonus room and deck. Cook amazing meals in the large, open concept kitchen featuring granite counter tops, brand new stainless steel appliances, and gorgeous views of your pool. Entertain and relax in the many bright, flowing rooms throughout the house. Your master bathroom includes dual sinks, a large soaking tub, and a separate glass enclosed shower. The community features top tier amenities, including a private golf course, clubhouse, 7 acre park, a junior-Olympic pool, tennis courts, beach volleyball court, basketball court, and playground. Don't miss it!